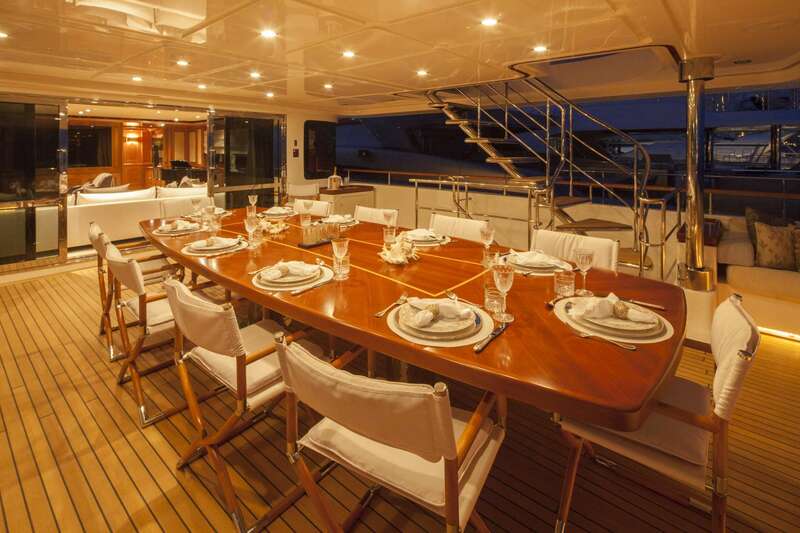 Sofico can accommodate 11 guests in four double cabins and 1 twin cabin with a Pullman berth. All cabins have full en suite facilities. 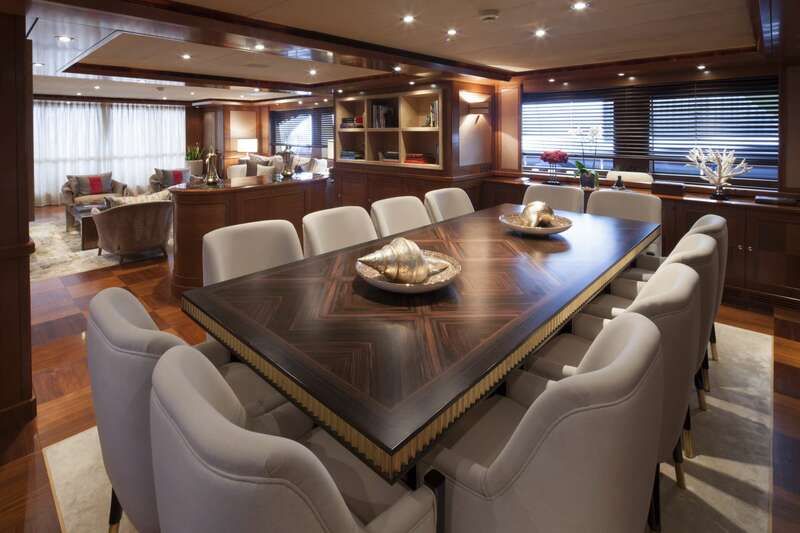 Her interior has elegant touches and features Canaletto walnut and natural cherry wood panelling along with parquet floors inlaid with silk carpeting. 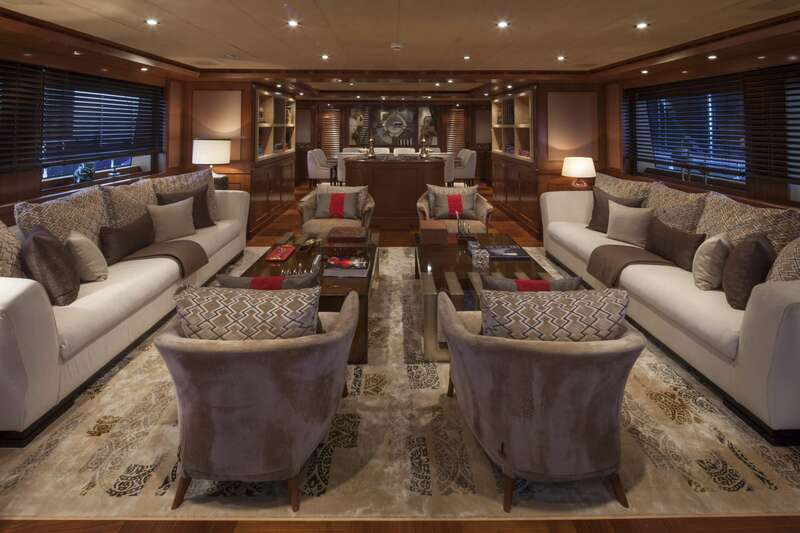 A large saloon has comfortable seating, a bar and entertainment centre while forward is a dining area with formal seating for 10 guests. Owner's cabin with king sized bed, bedside tables, desk/vanity unit with pouf and comfortable armchair. Private terrasse. A walk-in closet with full length hanging, shelves and drawers and a safe. En suite with his and hers (both have separate toilets with bidet), shared central shower. 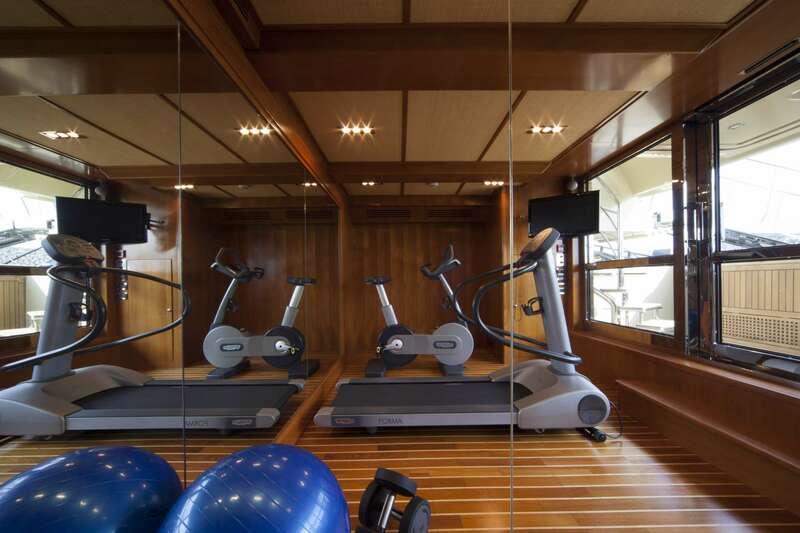 • 2 x VIP cabins with queen size bed, bedside tables, TV, desk area with pouf and wardrobe. En suite with shower, single sink, mirror and separate toilet + bidet. • 1 x double cabin with double bed, beside tables, TV, desk area with pouf and wardrobe. En suite with shower, single sink, mirror and separate toilet + bidet. • 1 x twin cabin with 2 single beds, bedside tables, 1 Pullman berth, TV and wardrobe. En suite with shower, single sink, mirror and toilet. Roa has worked in several child minding and housekeeping positions and now brings those valuable skills to the yachting industry. Adaptable, determined and flexible of character, Roa is a perfect fit for this vibrant crew of 9 on board Sofico, she is looking forward to an exciting season ahead. Originally from the Philippines, she has a passion for travel that has seen her visiting countries such as Turkey, Montenegro, Spain, Greece, France and Italy! Her other interests include photography, cooking, reading and playing the guitar! Longelo studied for a Bachelor of Science in Marine Transportation before joining as a deck cadet M/S Peter the Apostle a passenger/cargo ship. 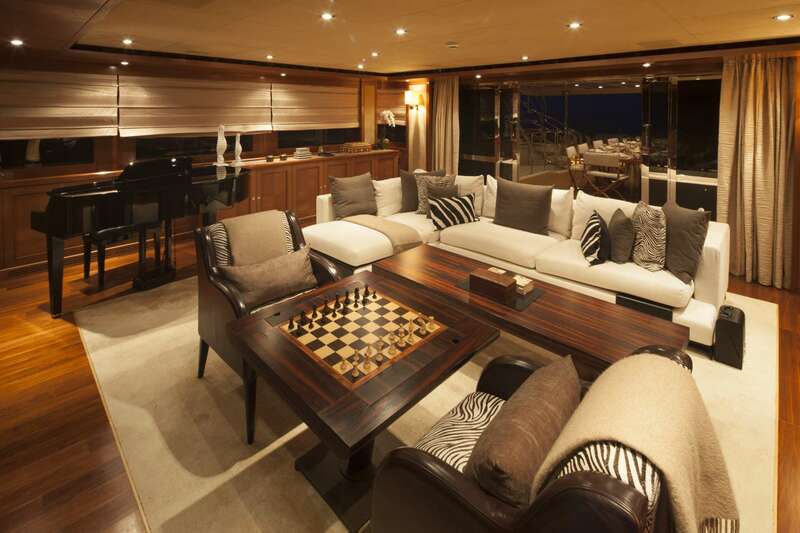 In 2006 he decided to transfer to luxury yachting and joined as deckhand the 44m Catamaran M/Y Moecca. 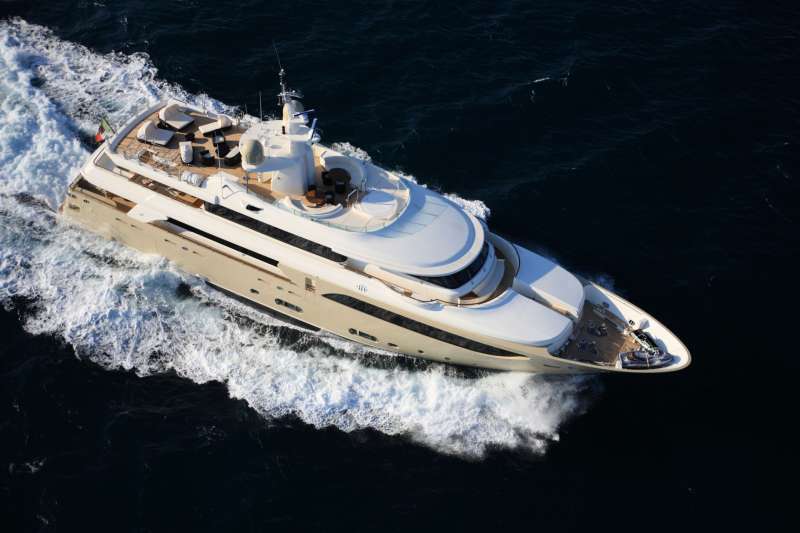 Since then he has made his way up the career ladder becoming mate and in 2013 chief officer on M/Y Sofico. Longelo sees himself as a leader and values integrity, teamwork and support for his fellow crew members.